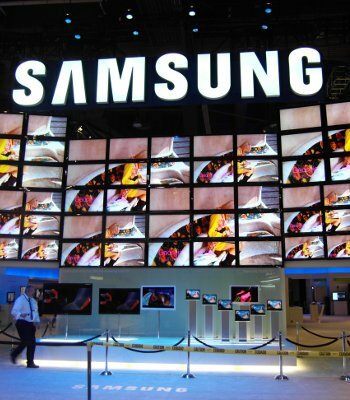 11 people have been arrested in Suwon, South Korea for allegedly stealing intellectual property from Samsung and selling it to a rival manufacturer in the region. The Yonhap News Agency reports that the theft pertained to information about next generation flat screen displays that could help the competitor bring similar products to market. The individuals involved were either past or present employees of either Samsung Mobile Display or the local unnamed firm. One suspect, a 46-year-old described as a former researcher for Samsung, is said to have received 190 million won (around $170,000) for data about a “small mask scanning” project used to build active-matrix organic light-emitting diode (AMOLED) displays for large panel televisions. The publication points out that until this point, AMOLED screens have mostly been used for small devices like smartphones, although at the 2012 CES earlier this year the company did showcase a 55-inch AMOLED TV that should be available later this year. The suspect supposedly quit his job and moved to the rival in September 2011. During his time at Samsung, he was heavily involved in the development of the technology. Police also say that following a failed job promotion at Samsung, he attempted to share the same information with a Chinese display maker. It’s unclear which rival company purchased the information but the team at the Verge speculates that it could possibly have been LG. LG is said to use somewhat different technology in their set but they also had a unit on display at CES. It’ll certainly be interesting to see how this plays out.